Modern Tyres are proud to be sponsoring this years Kilbroney Vintage Show once again. It is a fantastic day out for all the family with all the funfair activity and food stalls as well as all the cars. 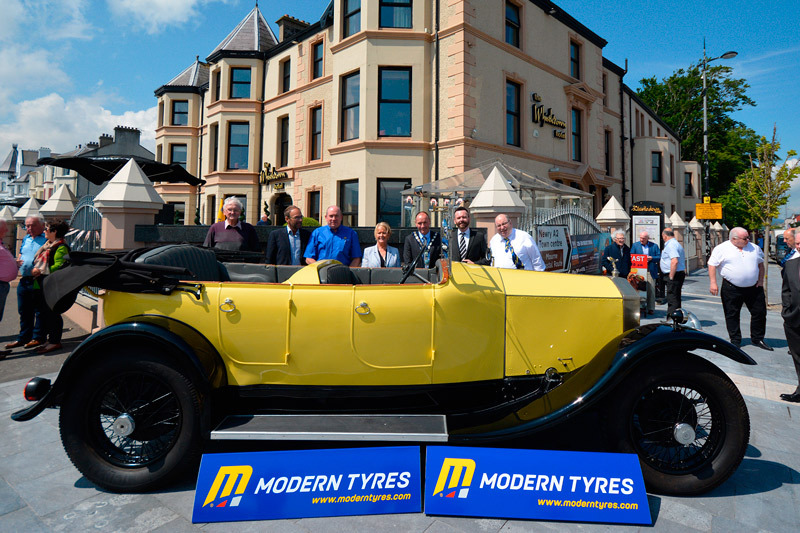 Feel free to pop along to the Modern Tyres stand to give us a quick hello! 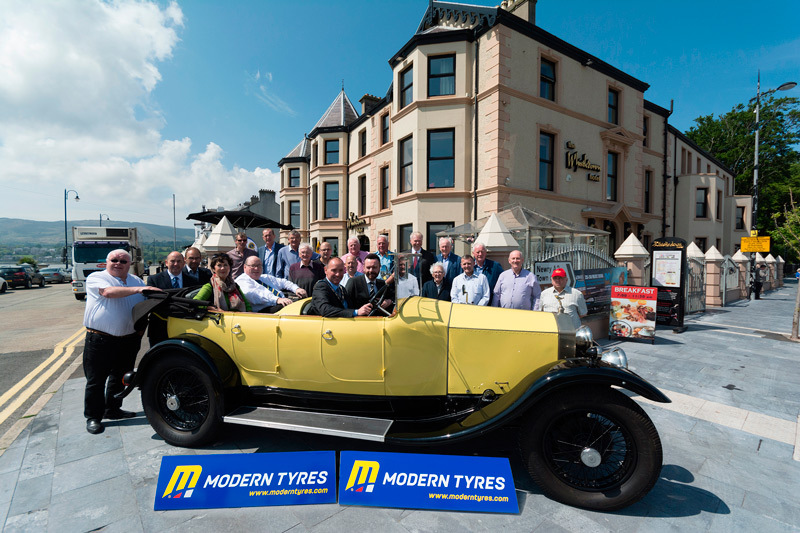 The Chairman of Newry and Down District Council, Councillor Michael Ruane, launched the 31st Kilbroney Vintage Show on Friday 27th May 2016, in the Whistledown Hotel, Warrenpoint. 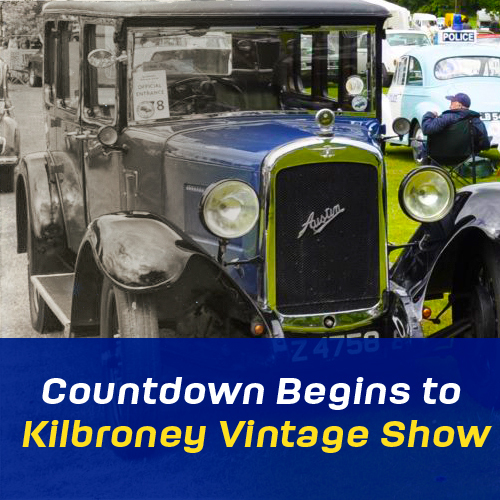 Going from strength to strength, the Show which will take place Saturday 18th June promises to be even bigger and better than last year’s which broke all records for entrants and spectators, thanks for the fantastic weather. Already there has been a huge response from both North and South of the Border, with over 1,000 old vehicle enthusiasts already registered. 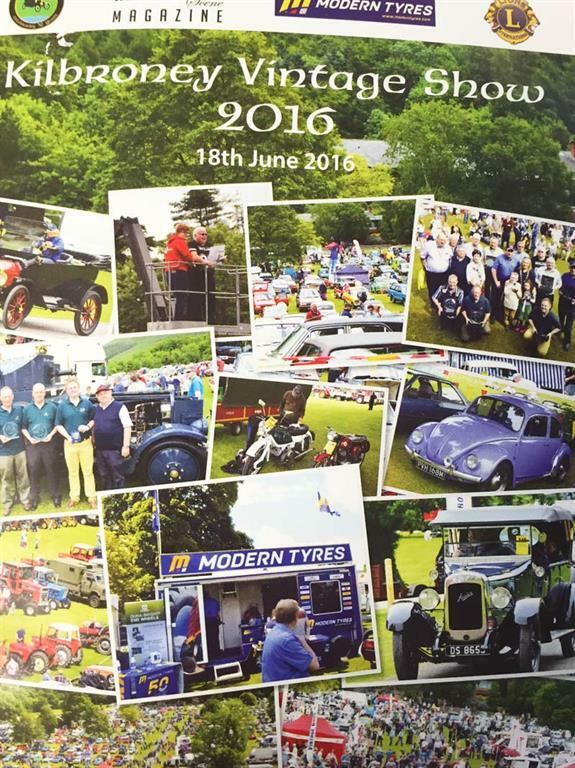 Visitors to the show can look forward to a fun packed day. Trade stands and Autojumblers will provide bargains galore. There will be demonstrations of working farm machinery and as usual there will be the funfair and novelty shows for children, including clowns, magic shows and face painters. Headlining the entertainment will be Brendan Lester with his Town and Country band, along with local country singer Tom O’Rourke and to keep the craic going, Big O will be on stage all day. As usual, all monies raised wink be going to local charities.